Do you like Russian River Pinot Noir? Russian River Chardonnay? Beautiful gardens with a modern tasting room? Then, make sure Lynmar is on your list. I was introduced to this winery by my sommelier friend in France (more on him in the future). Not only are their wines magnificent, the setting is divine. You will need an appointment; they do not take large groups. 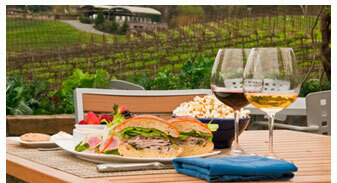 Reserve tasting is $30/person, or the lunch with wine is $55/person.